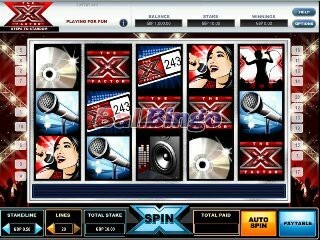 The world renowned Cozy Games Management Ltd. announced the introduction of “The X- Factor – Steps To Stardom” a new slots game for mobile devices. This new game was created with the help of Openbet and made especially for the top-notch bookmaker, Paddy Power. With a flurry of games provided through Cozy Games to mobile device users, especially to individuals with iPhones, tablet devices and Android Smartphones, Paddy Power is managing to reach an ever-expanding audience. This latest game, The X Factor- Steps To Stardom, is one of the four most favored slots titles designed by FremantleMedia Enterprises and it’s being released to the public through the advanced technology Cozy Connect Platform utilizes. According to Lucinda Kelly, Manager of Mobile Games at Paddy Power, product partnerships increase the value of their games portfolio. She added that the introduction of The X Factor- Steps To Stardom couldn’t come at a better time given the popularity of the live television show The X Factor. Her company thanked Cozy Games for the expediency with which they carried out this project, and she believes that the game will appeal both to fans and even those who don’t watch the show. And speaking on behalf of FME, Mr. Simon Murphy, who heads the company Gambling EMEA, agreed with Ms. Kelly’s statements. He added that the products across mobile, Internet and social media are increasing in value, especially as operators look for ways to obtain the most from convergence. And he said that this recent release for Paddy Power is a sign of the trend that prevails today. Tim Green, the COO of Cozy Games, issued a comment in which indicated that the company possesses a highly experienced staff that works diligently 24 hours a day to make certain the operators are happy. This recent development is evidence that the team is totally dedicated to improve the user’s experience.